The annual day out is never a dull affair even the threat of thunder and lightning couldn’t dampen the mood and enthusiasm to win this auspicious occasion. 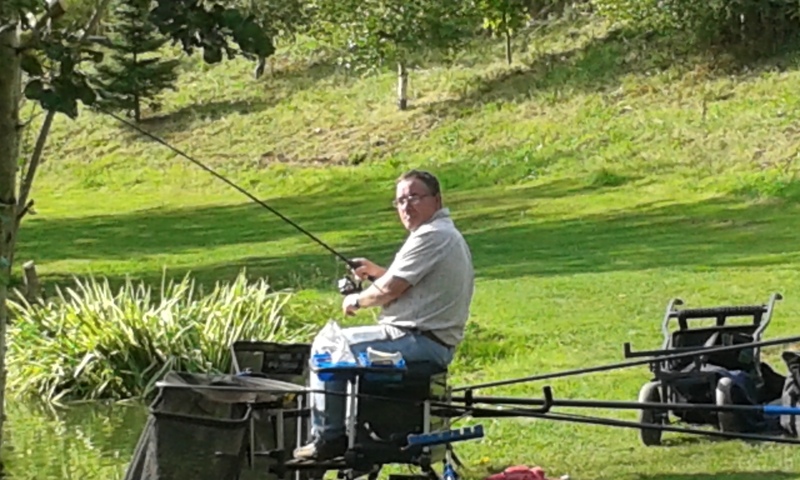 Burgess, the owner of the pool suggested that because we had 20 anglers taking part we could split the match over two pools, originally we had booked the Kingfisher, but now we could also use the Valley pool. So a narrow vote decided to split the match over the two pools. Payouts would be 1st and 2nd on each pool with two sections on each pool. The golden pegs would be drawn as normal, and when they were there was one from each pool, so it couldn’t have worked out better. 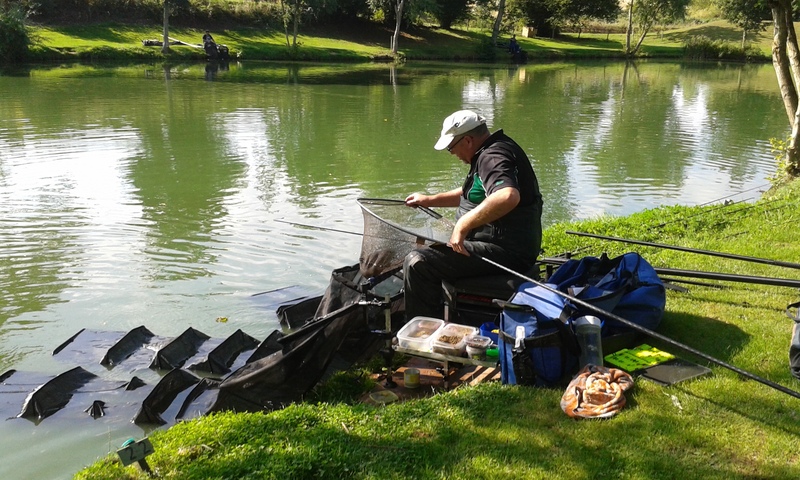 Simon landed 20lb of fish in the last half hour of this 5 and half hour match so in real terms that probably means another net full. So the honours on the valley pool went to Simon ‘do I need another net’ Garbett, followed by Barry ‘wha choke!, I had the golden peg’ Podmore and there was more controversy to come on the Kingfisher pool. 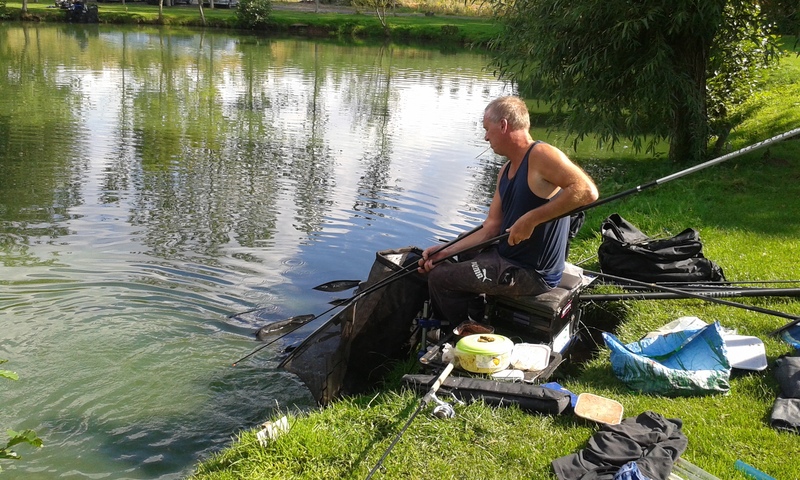 Terry weighed in 61-8 on peg 8 and it was at peg 26 when adding the weights of the two nets together Ted thought he had 62-4 to win the pool, however his actual total was 61-4 to come second, just 8oz behind Terry. Oh, for anyone interested Ted has some Preston hooks to nylon for sale. Visit the gallery for more photos of our day out.